So, what’s the deal with elderberries? Elderberries are rich in vitamins A, B and C and are a traditional cold and flu remedy used for hundreds of years. They are known to have high antioxidant activity and the bioflavonoids and other proteins in the juice of the berry destroy the ability of a cold or flu virus to infect a cell. 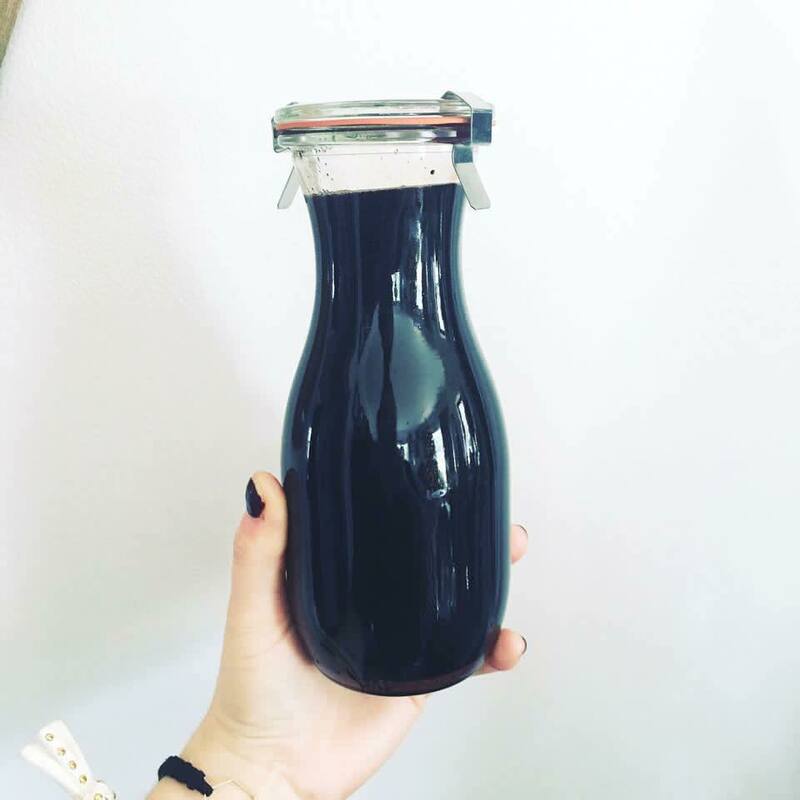 I added essential oils to add a extra dose of amazing to our elderberry syrup. * Thieves Vitality – This is a seriously amazing blend of clove, lemon, cinnamon bark, eucalyptus radiata and rosemary. I’m just going out on a limb here and saying, this is powerful. * Nutmeg Vitality – Besides tasting and smelling freaking awesome, this oil is GOOD STUFF. * Clove Vitality – This is crazy high in antioxidants! * Ginger Vitality – Part of keeping the immune system in tip-top shape is keeping digestion optimal. Over 90% of the immune system resides in the gut, so using ginger, with it’s ability to stimulate and regulate digestion, only seems natural. * Cinnamon Bark Vitality – Another oil already found in the Thieves blend, cinnamon bark is a powerful support to the immune system. * Frankincense Vitality – One of the gifts given to Jesus by the Three Wise Men, frankincense has been used for centuries. You should google Frankincense oil. Just do it. For real. This is the recipe I used - it was SO freaking easy! Here is where to grab your organic elderberries and where to grab your Weck juice jars. Also, lazy mama hack: when you run out of strawberry jelly for your kiddos yogurt, throw a teaspoon of elderberry syrup in there and mix it up! He LOVED it, and it's an amazing support to the immune system. Newer PostI SWORE I'D NEVER.